Pro Libertate: Justice for Jack Yantis: Don't Leave the Investigation to the "Professionals"
Justice for Jack Yantis: Don't Leave the Investigation to the "Professionals"
Scene of the crime shortly after Jack Yantis was fatally shot. The first rule of bureaucratic crisis management is: “Find someone else to blame.” This is true even in agencies as small as the Adams County Sheriff’s Office. Sheriff Ryan Zollman would have an insuperable conflict of interest were he to conduct the official inquiry into the November 1st killing of Jack Yantis. He could have avoided that conflict by firing the deputies, charging them as private citizens, and then turning the evidence over to a special prosecutor. The inquiry was handed over to the Idaho State Police, an agency that reliably botches investigations of this kind – whether they deal with a previous officer-involved homicides, or pervasive corruption within Idaho’s prison system. Attorney General Lawrence Wasden has now invited the FBI to conduct its own investigation. “We want to be deliberate and thorough,” insists Wendy Olson, the U.S. Attorney for Idaho. “ISP will be thorough, the FBI will be thorough.” In the meantime, “people need to be patient” as official procedures are followed. Thoroughness is not the summum bonum in an investigation of this kind: Anybody engaged in a cover-up is certainly motivated to be thorough. Richard Nixon expected his “plumbers” to be thorough in their efforts to prevent transparency and accountability. The officials presiding over the “independent” inquiries operate on a sliding scale of zealousness. Lawrence Wasden displayed great zeal in pursuing felony charges against Carol Asher, a retired schoolteacher who frustrated a prosecutor by acting as a conscientious juror. In her ardor for what she pretended was justice, Wendy Olson set aside the findings of a local investigation and threatened to send Bonners Ferry resident Jeremy Hill to federal prison for the supposed crime of shooting a grizzly bear that threatened his family. She eventually extorted $1,000 from Hill to end her vindictive and unwarranted prosecution. Neither of those “offenses” involved actual crimes of violence against human beings. But neither of those “suspects” was swaddled in the habiliments of the state’s punitive priesthood, or invested with “qualified immunity.” And besides, Jack Yantis was “no stranger to the police,” as the Washington Post archly observed, taking note of an inconsequential record that included a traffic infraction, two DUIs and a charge of “resisting and obstructing,” the last of which should have earned him a commendation, rather than a citation. The Post and other state-centric media outlets continue to insinuate that Yantis was in some sense responsible for his own death. This is true only to the extent that if Yantis hadn’t cooperated with a request to help the over-matched deputies deal with the wounded bull, which underscores the wisdom of avoiding any contact whatsoever with the state’s privileged purveyors of sanctified violence. Media coverage of the Yantis killing, predictably, is freighted with intimations of potential violence against Sheriff Zollman and other officials from the rural “anti-government extremists” who populate Adams County. Sheriff Zollman, who seems like an earnest and decent man, reports that his family has received death threats, and he has refused to disclose the names of the deputies who killed Yantis in order to spare them similar treatment. This wouldn’t be a problem if the deputies had been charged with a criminal offense and taken into custody – or even released on bail once charges had been filed. 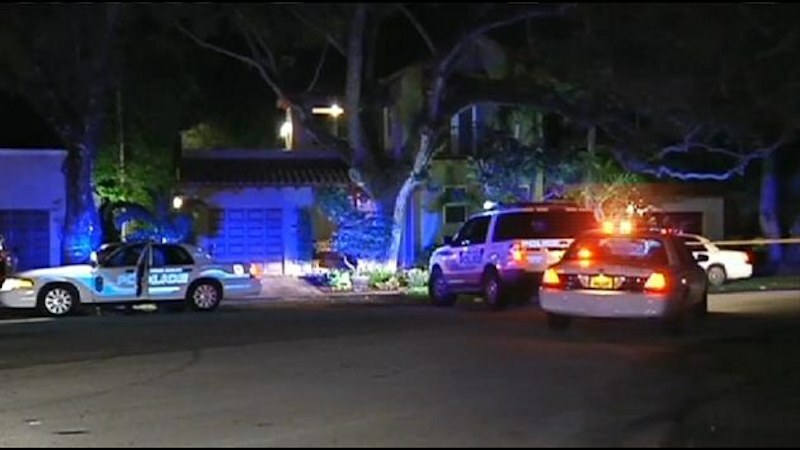 Threats of the kind Zollman allegedly received are precipitated by frustration over the privileged status of law enforcement officers implicated in wrongful deaths or other acts of criminal violence. Any evidence that Yantis assaulted or threatened the deputies would have been provided to the public within hours of the incident. If two Adams County citizens had shot and killed a sheriff’s deputy, they would have been incarcerated without bail, and their names would be known. 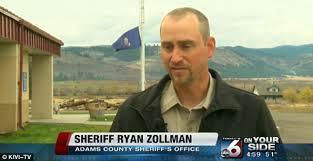 Despite Sheriff Zollman’s reticence, Adams County residents have identified two of his deputies as the shooters. If those men (whose names have been made known to me) are not the would-be suspects, the sheriff is doing them no favors by withholding the names of the deputies who killed Yantis. In either case, the pretense of secrecy cannot continue much longer in the age of social media. Whenever law enforcement agencies investigate each other, the priority is to uphold “order” and vindicate “authority,” rather than to impose accountability for official misconduct. Stipulating that the “official” authority claimed by any government functionary is entirely fictitious, Sheriff Zollman could have exercised moral authority in the service of ordered liberty by filing charges against the deputies and requiring them to undergo the same process that would be endured by similarly situated defendants who were not part of the state’s enforcement caste. Since Zollman has abdicated his responsibilities, the task of carrying out a truly independent investigation should be carried out by a citizens’ grand jury. That panel would act as a fact-finding body, taking testimony from witnesses and, if suitable evidence is found, delivering a “presentment” against the deputies to the county prosecutor. The State of Idaho’s official judicial guidelines describe a Grand Jury as “a panel of citizens called together to hear evidence and determine if criminal charges should be initiated.” There is no requirement that the panel be “called together” by the sheriff, prosecutor, or the local courts. Were a citizens’ grand jury to be assembled in Adams County, the air will be clotted with frantic warnings about “vigilante justice,” the Southern Poverty Law Center will denounce the development as a manifestation of the much-dreaded and little-defined “sovereign citizen movement,” and sanctimonious chin-pullers will insist that matters of this kind are best handled by “professionals.” This will make sense only to people completely ignorant of the original purpose of the grand jury. When the Federal Rules of Criminal Procedure were adopted in 1946, the grand jury – which had always been a non-government entity – became the “total captive of the prosecutor,” in the words of former federal Judge William J. Campbell.The Advisory Committee on the Rules of Criminal Procedure, significantly, was an appointed body without legislative authority, popular mandate, or accountability: It was assembled by the FDR regime out of people representing the prosecutorial class. The result was a “grand jury” procedure that effectively ended the public’s role in the administration of justice. 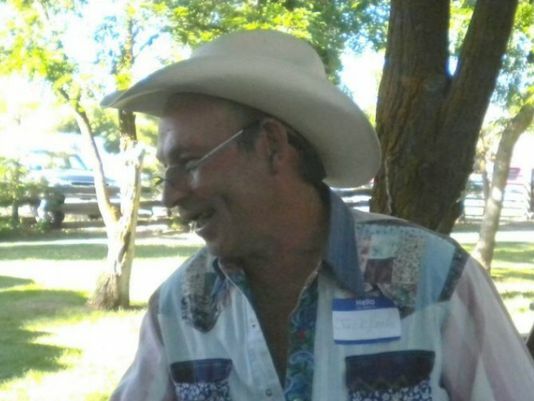 By organizing an independent grand jury to investigate the Yantis killing, Adams County citizens would be acting to restore the rule of law, rather than to subvert it. Like all “official” investigations of its kind, the inquiry into the killing of Jack Yantis is a liturgy intended to reinforce the “legitimacy” of the agency that employed the killers. This is why the pursuit of actual justice is a task that cannot be entrusted to the “professionals." The dog and pony show begins. Do not lose sight of the fact that the system is facing more than just a criminal trial but a civil trial. Let's look at the civil trial in's and out's. If a huge jury award is issued, the judge/lawyer will grant a new trial and or lower the jury award. The case will be retrial. Likely a new large jury amount will be awarded again. Adams county can not file for bankruptcy protection because that avenue of dodge has been taking away by the federal courts in the recent Boise county matter where Boise county violated the fair housing act in refusing to issue a building permit for rehab housing. All being said the citizens of Adams county will see their property taxes go sky high to pay for the murder of this rancher. This will lead to the county taking property away from homeowners for not paying their property taxes, and Adams county sheriff's office will be doing the eviction. The people will wake up in a hurry that criminal actions of police can destroy everything the have worked for. This is all well known by the people running the agencies doing this investigations. The victim in this matter is now being slandered with his petty unlawful mistakes of the past. This is a huge clue the media will be doing all the dirty work needed to hold down truth. The system is counting on dragging this matter out to get people to move on, watch and see. To even pretend that we are still a nation, under the rule of law, is a form of mental illness. We are a police state and we-the-people let it happen. We can point our fingers at the Feds, the State, or the locals, for the destruction of justice and our Constitution, but complacency among the populace, deserves an equal share of the blame. It is, in my opinion, too late to restore justice, by either the ballot box, or the soap box. Have you ever noticed, Will, how the Grand Jury process that can famously "indict a ham sandwich" is suddenly unable to gain indictment when it's a cop brought before them? This is because the Grand Jury has not only been taken out of the hands of the Mundanes, it's been neutered to the point that they only do what a prosecutor tells them to. They have no real fact-finding power any longer. They only see what the prosecutor gives them. When a prosecutor wants to get an indictment where one isn't deserved they simply frame the narrative in a way that makes the evidence appear good. When they want to get a cop out of trouble, they just dump all the evidence in the Grand Jury's lap, and leave them to try to figure it all out. Nothing but another "Free Waco." The ruling class may imagine they are going to sweep this all under the rug, in a routine fashion; but there are hidden costs. Every such example - in the age of the Internet, where the rulers no longer control the sources of information - erodes the notion of legitimacy which all state employees depend on to avoid the consequences of their actions. Watch out what happens when everybody starts to look at these people more as mafia thugs, than as necessary for society to exist. Even a lifetime of attempted indoctrination can be overturned, when the abuses are egregious and frequent. Word gets around in these small towns. No doubt it is all that people are thinking and talking about. The FBI, the same people that murdered Vicky Weaver, while holding her baby, are going to investigate a murder, in Idaho of all places? Sure this did not come from the Onion? you are correct to put the word PROFESSIONAL in quotes as you have. Maybe 3-5 years ago there was a Christian pastor in Spokane, WA who, in the night, heard someone prowling on his property, he got his shotgun and went out to investigate he was shot dead by the prowler who was, IIRC, a Jewish deputy, then the Jewish Sheriff sent the deputy IMMEDIATELY on a long vacation. Can you guess what happened Bill? Yes, no charges and the deputy stayed on the force. The pastor was a white male so no white privilege in this case for the victim. Assault on law enforcement? Did the Kulak rancher look at them crosseyed or violate their safe space? A lot of the problem in this case is the outmoded sanction of law in the west tht allows ranchers to have their livestock free range. That is where animals are allowed to roam freely to eat grass, and every body ois supposed to fence out the wandering animals. Problem being that the state will not fence out the cattle from highways. This incident could have been avoided had the Bull not been on the highway to be hit!!! "A lot of the problem in this case is the outmoded sanction of law in the west that allows ranchers to have their livestock free range". Certainly a Subaru wagon will come out the loser with a bull. 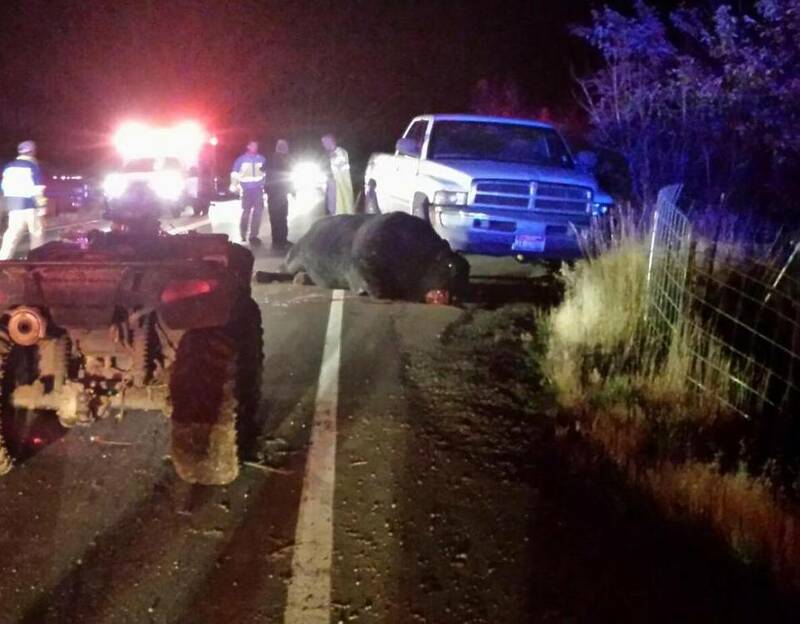 I'm still not clear as to why the rancher needed to be shot. It appears he was doing the right thing by attempting to quickly dispatch an enraged bull from being further tormented by two idiot deputies using it as 9mm target practice. Maybe they didn't want their 'fun' interrupted? I don't like how the future is appearing. After Hussein the Trojan horse gets his Syrian "refugee" army seeded in all 50 states how will he take the guns? No buying food or supplies unless you turn in your guns? Gift cards and cash for all good comrades who turn in their firearms? Using the military and police for confiscation by force? Using the blue helmets of the U.N.? A big spit in the eye to all the dumbasses who voted for the nation's destroyer. Will, just wondering, what court/judge issued the gag order on this murder. And if so, what did the government attorneys offer in support to the issuing the gag order. Anon, there isn't a judicial gag order in this case; Sheriff Zollman has refused to release the names of the deputies as a matter of discretion. Hmmm, maybe a little gofundme campaign should be got up to fund the construction of a large billboard that reads, "My husband Jack Yantis was MURDERED by county deputies _______ and ______ at this exact spot. They have not paid for their crime. What has happened to my country?" That would be a nice addition to the county landscape, I think. I remember that. It is important to take note of, and remember such actions. I studied the federal and many state constitutions for many years. Just to say something about the grand jury. It was enacted to keep the people safe from the government. Most of its uses in the late 1800's and early 1900's was to remove corrupt government officials. It was the sheriffs job to prosecute criminals. It was the citizens job to prosecute corrupt government. Hence the grand jury. About qualified immunity. It is not a government only defense. It is available to all. For example. A intruder enters your home and attacks you. You shoot him and kill him. You just murdered him. however you have the defense of protecting yourself and your family. Qualified Immunity is simply a "doctrine" that means that in a similar situation, what would the average person do? Qualified immunity removed the malice part of the typical crime. In other words prior to the Qualified Immunity doctrine you had to prove that the cop acted with malice. After the qualified Immunity doctrine, You did not have to prove that the cop acted with malice. So Qualified immunity protects the person more than the cop these days. Most people think that Qualified immunity is a right of government officials. It is not. It simply means that the officer has to "Qualify" for the "immunity". The Qualification for this immunity is would the average person have dont the same thing as these deputies did? Put that same doctrine to use on this case and you fine that the average person would not have done what the cops did. So they should be tried for murder. Very simple. The precedent was established years ago when we had: JFK in Dallas, Bobby Kennedy in LA, MLK in Memphis, Ruby Ridge, Waco, Oklahoma City Bombing,and Twin Towers. The "Enemy", which is the nameless, faceless, hiding behind the black curtain and pulling the strings on politicians". Until this enemy is brought out in the light and totally destroyed, there will be no peace in the USA. The police departments around the country have been killing more and more citizens, and not much has been done about it. The law of the west WILL come into play when the people get enough of the BS that the governments are handing out. Was Vicki Weaver's murder ever brought to justice ? NO. He was immediately transferred out of the country...still a nameless coward. Only cowards hide their identity. Full blown cowards hide. Real men step up to the plate and face the situation. But then, real men don't murder a man when hiding behind their "badges" either. LLPOS is a good term for all involved in the shooting and the coverup. Low Life Piece Of S..t.
Wild critters in the back country have to eat too. It is amazing how people can make statements of any kind when the facts have not been presented. Please allow ISP, the attorney general, and FBI, to do their work and give reports. When that happens then you can make intelligent statements. Right now all we read are kindergarten remarks. Only kindergartners or similarly immature people place unqualified trust in "authority figures"; practicing adults are more cynical, or at least they should be. This is especially true where the ISP is concerned, given its very recent history in dealing with officer-involved fatalities. Mr Yantis did not deserve to die that night. 2 witnesses say other wise. And instead of relying upon the jurisdiction of your people you placed jurisdiction into the Idaho State police. This is should not have been allowed. Too often law enforcement feels it has no responsibility toward the electors of its county. This must stop as you see around the country what out of control law enforcement can create. People who justly consider their law enforcement as being negative toward their freedoms. There has also been an accusation that Sheriff Zollman is directly operating under federal guidelines and not the Constitution of the State of Idaho Also I and others in our County are trying to get a Peoples grand jury started in the area on this case for the people who wish closure and justice on both sides in this case. The people wish this to not be swept under the rug. ISP who is reviewing this is placed on notice as being an agency of the Governor which so often finds no fault in law enforcements actions against the people. This is nothing more than the need for justice for the people of Adams County with the observance that the people are the last word in their law enforcement not others outside their domain. Sheriff Zollman you are to be placed in the eyes of the people of this State of Idaho, and it is our purpose to demand justice for all concerned. SECTION 8. PROSECUTIONS ONLY BY INDICTMENT OR INFORMATION. No person shall be held to answer for any felony or criminal offense of any grade, unless on presentment or indictment of a grand jury or on information of the public prosecutor, after a commitment by a magistrate, except in cases of impeachment, in cases cognizable by probate courts or by justices of the peace, and in cases arising in the militia when in actual service in time of war or public danger; provided, that a grand jury may be summoned upon the order of the district court in the manner provided by law, and provided further, that after a charge has been ignored by a grand jury, no person shall be held to answer, or for trial therefor, upon information of public prosecutor. 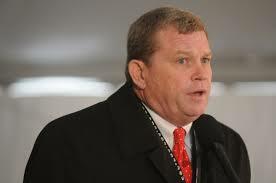 You see Sheriff the people still have the power to determine justice independent of their elected Law enforcement . Our Representatives must see this as a proper step to justice in Adams County. Wow, another Copsuker. Right here with his bleating, "Just give the athorities more time," you know to get their stories straight. As copsucking Insiders know, there is no such thing as a "BAD SHOOTING," that would get a Cop indicted for muder, there is only a "BADLY WRITTEN AFTER ACTION REPORT"- one constructed too hastely and honestly. Well, Its been a month and a half. I still dont see any report from any government agency about this shooting. Ill point out that within a day or 2 we had huge amounts of data on the San Bernadino shooters. But of course this involves cops so all I hear are the crickets chirping..
To Anonymous,9:56: Did the jews who want to bring Martial Law and land confiscation to America, whom trained these PIGS in Israhell brief you on what to say when Americans start catching on? Evidently so. Still nothing from the FBI or the ISP. So it takes them two months to investigate????? Welcome to the Soviet States of Ameriwas.